I’ve honored plenty of Westporters since “06880” began in 2009. I have an especially soft spot in my heart for those who — in their own unique way — made Westport what it was, and is. My mother was one of those. Jo Woog — who died yesterday, at 89 — was a Westporter for 60 years. In those 6 decades, she did so much. She was a PTA mom, a volunteer for countless causes, and a strong supporter of arts programs — particularly music. She played piano whenever she could, and taught it for a decade. She also played a mean game of tennis — and stopped only a few years ago. She was a member of the Y (aerobics! ), Y’s Women, the Democratic Women of Westport, and several book clubs. She went to Long Wharf, the Quick Center and Westport Country Playhouse — and kept going, until a month or two ago. In her later years, she enjoyed the Senior Center. She took Zumba classes, played ping pong, saw movies, attended lectures and more. There are many women like her in Westport. During the baby boom, they supported their babies. As we grew up, so did they. As empty nesters, they supported their town. As widows, they formed their own, tight-knit community. My mother grew up in New Rochelle, and loved it. (She attended her last high school reunion 2 years ago.) But Westport was her town. And of all the lively, fun and important things she did, I’m eternally grateful that she made it mine too. This entry was posted in Organizations, People and tagged Democratic Women of Westport, Jo Woog, Westport Country Playhouse, Y's Women. Bookmark the permalink. So sorry for your loss, Dan. Our thoughts are with you. I am so sorry to hear of the passing of your mother. Blessings and love to you and your family. So very sorry for your loss – your Mom sounds amazing! I’m sure she was incredibly proud of you. Yes, she was absolutely (and justifiably) very proud of Dan and very supportive. She was still coming out to the hill every fall to watch Dan’s Staples soccer teams in action. A long life well lived and I’m sure you’ll take comfort in that as time passes; our condolences. Dan, sorry for your loss. Jo sounds like a very special lady. We are all thinking about you. Best wishes. My sincerest sympathies to you (Dan and family). May you always hold your memories of her close to your ❤. Where did she grow up in New Rochelle? My Aunt lived on Mayflower, and my grandparents lived on Woodbury Street. Thanks, Mary-Beth. She lived on Cortland Avenue. I’m sorry to hear about your mom. She sounds like a terrific woman! I bet she was very proud of you! My Mom is also 89 and I can’t imagine your sadness right now. My condolences, Dan. She sounds like an amazing woman. Best to you and yours during this sad time. What a wonderful and full life she had, dying at 89. Sorry for your loss, the Rose family’s hearts, prayers and love go out to you today. Our condolences to your family, Dan. Dan, What a wonderful tribute to your mother! She led a full and active life and the love you shared is so evident in your writing. So sorry for your loss, Dan. It is not easy losing a mother, even one of advanced years. My sympathies to you and your family. I am sorry to read of the passing of your mother.She made a difference in your life and the life of your family.That is a blessing. I’m so sorry!! She will always be in my heart. Sorry about your mom’s passing. She is an unsung hero, a mom who quietly did her job as a mom. We don’t see people like her on the evening news — the real heros of our country. What an amazing woman and great family. Our family has been here for 50 years and remember all the wonderful things your family has done for Westport. May she rest in peace! God bless! Dan. So sorry for the loss of your Mom who was such a vibrant and vital member of the community. She raised a great son too! Condolences for your loss, Dan. My condolences on your loss, Dan. May her memory be a blessing. I’m so sorry. I’m going to go call my mom right now. Jo was, indeed, a wonderful woman. It was a pleasure to have known her for more than 30 years. Danny. I am so sorry to get this news. Your Mom was one of the great moms on High Point Road when we were growing up there. You were blessed to have her alive and healthy for so long. Thinking of you. Very sorry to learn that your mother passed away. Sounds like she was a genuine Westporter. My deepest sympathy. So sorry to hear of the passing of your mom, Dan. She made you and we are blessed to have you! I’m sorry Dan. She was a good mother –not all mothers are good of course. Mine died 12 years ago. Reading your obituary reminded me that I miss her, and you will miss yours. Thanks for sharing your story. Let me join the scores of others sending condolences to you and your family during this difficult time. My condolences to you on the death of your mom. I have fond memories of chatting her and your dad at Ted and Fran Frost’s parties. May her memory be blessed. I am very sorry for your loss. She sounds like a fantastic person. I am sorry I did not know her. Prayers as you celebrate her life. Please accept my heartfelt condolences on this irreplaceable loss. I am sure you will have a treasure trove of memories to hold on to to bring you and your family solace at this time. Please do not hesitate to reach out if I can be of any help. My condolences. It sounds as though your mother was a wonderful woman – which makes the loss harder, but the memories sweeter. Dan so sorry to hear of your mom’s passing. She sounds like a wonderful woman and lived a long full life. Sympathies to you and your family. Sorry for your loss, Dan. A life well lived! What a wonderful woman. May her memory be a blessing. A beautiful tribute to your mother. My sympathy to you and yours. Treasure her love and spirit! Dan, so sorry to hear of your loss. My condolences. Dear Dan, sorry I cannot be there but I know your mom had a wonderful life and u were so lucky to have her as your mom. U will miss and her friends and town will miss her spirit and fun. And u r so much like her. Your Mom was a great reader and a lovely person. We had many conversations about what she was reading at the Westport Library Reference Desk, as I would help her to hunt down a copy of her next book club selection. Your tribute is beautiful and aptly describes a very special group of women, who have enriched Westport over the years. My thoughts are with you Dan I remember your mom as the great lady she was and you and all the wonderful things you do for our town stands as a great legacy for her. Dan, My condolences on the loss of your mom. What a great lady! Dan, I am so sorry for your loss. Your mom – one of the great moms of Westport – helped to make this town such a special place to grow up. You honor her every day with your continued contributions. That was one of the loveliest tributes to a Mom I’ve ever read. How fortunate you and I have both been to have had fabulous mothers in our lives. Though we can no longer touch them physically, we can be in touch with them mentally forever. What a gift we have been given. Dan, my deepest sympathy to you on the loss of your mother. She was no doubt a wonderful mother and member of the Westport community. You, and the town, we’re certainly fortunate to have her in your life. Sincerest condolences for your loss, Dan. Dan you are a testament to your Mom’s enthusiasm for life…and her memory will live on. Please accept our deepest sympathies!! What a beautiful tribute, Dan. I’m so very sorry. Love to you all. My heartfelt sympathy to you. My hope is that these sweet memories of your Mom which you shared will bring you comfort in time. Don’t forget she was an aerobic parfticipant at the Y. I always got a smile and a wave from her. Quite a lady! So very sorry for your loss, Dan. You’ve written a sweet tribute to a wonderful, lovely woman. I wish you the comfort of best memories always. So sorry Dan to hear about the passing of your Mom. I remember her well from the days she came into the YMCA, always with a smile on her face. She was so proud of you, and rightfully so. May God Bless you and provide you comfort during your time of mourning. I’m so sorry, Dan. The loss of a parent is hard to take. Maybe this remarkable outpouring will offer something meaningful to your and your family. I know it helped me when I was in your shoes. So sorry for your loss. My mom passed away exactly one year ago. I trust the love of your family, friends and community will help you through this difficult time. I am sorry to hear about the loss of your Mother. She seemed like a very special woman. I recognize her from around town from the picture you posted. My thoughts are with you and your family during this difficult time. Dan– offering you my deepest condolences! She certainly seems like she was a very special person and I’m so sorry for your loss! May all of your positive thoughts and memories help you through this difficult time. Two years ago last week for my mom Dan. It is a blessing to have had them as long as we did! Oh Dan — so sorry. She must have loved your blog too. Sorry for your loss. Losing a parent is horrible. Lovely tribute for a lovely woman. You made her proud Dan . So sorry for your loss and may she rest in peace now. Your loss is our community’s loss. Keeping you in my heart and thoughts. So very sorry, Dan. Your loss; our loss, too. She appeared to have been one great lady. You mother sounds as though she was one of the people who contributed a great deal to our community. I am sorry for your loss. It’s said that Mothers hold their children’s hands for a short while but their hearts forever. My condolences Dan, just remember that your being who you are is a constant tribute to who she was. What a beautiful photo of your mom. It captures the essence of her spirit and joy. She led a truly fantastic life and was incredibly active right up until the end, and how many people can say that? No better way to live life. May your mourning be brief and your memories last forever. God bless you and your family. Ellen and I are very sorry for your loss. Your mom was one of a group of women who worked to make the Westport schools strong for all students. I was fortunate to continue seeing her long after you graduated as she frequently attended the same cultural events we did. Would that all Westport moms were as caring, compassionate and cultured as she was!. My heartfelt sympathy- life is never the same when you lose your mom. So sorry for your loss. Your mom sounds like she was a wonderful person. So sorry for your loss Dan. May her soul rest in peace. Most sincere condolences, Dan. I think our Mom’s knew each other through Y’s Women — fellow members of the generation who brought their Baby Boomers to Westport in the 1950s, and stayed to build the fabric of the town. She will be missed. — Scott. cellists to play when another musician departs this life. i thought of you and your mom as i played. God Bless ! buell n.
Dan, I am sorry. Having known you and your Mom for almost 50 years and seeing her as recently as a few weeks ago by chance, she truly was a woman who did it all. Yes she was a supporter of almost all things Westport and gave her time and energy as well but she also knew and took pride in the details of her children’s lives (at least the information you, Susie and Laurie shared with her!) as well as what her grandchildren were up to and was incredibly proud. I will miss her around town and may her memory be for a blessing for all of you. And prayers….a beautiful life to celebrate. She left this world a better place. My condolences to you and to Laurie, who I went to school with( she knew me as Maren Meyer). Thank you Maren! I remember you and appreciate your words. So sorry for your loss, Dan. Reading through these tributes it’s clear your Mom brought joy to others and will be long remembered, a life well-lived. All the best to you at this difficult time. Oh, Dan — I am so sorry for your loss. Your mother was a delightful person, and she will be greatly missed. Please accept my deepest condolences. Awfully sorry to hear your sad news . I am certain that your mother was very proud of you and thankful for your care and support . So sorry for your loss, Dan. May her memory be a blessing. Sorry to hear about your Mom. The long list of comments here is strong testimony to her place in the community and a life well lived. She will be missed. In my dreams, my dad is always healthy, smiling and happy. I wish the same for you. So very sorry for your loss. With hopes your many fond memories buoy your spirits, and that your mother lives on in, and through, you. Dear Dan, My husband Charles Lamb and I remember Jo well. She was his tennis partner. In addition ,she was a great fellow Democrat. Yes, she loved music and knew it well. She also was an art lover and came to my exhibitions. She was spunky and completely honest. We shared a lot. We shall miss her. So sorry Dan- It hurts to loose a Mum. May she rest in peace and rise in Glory. Condolences, Dan, on the passing of your Mom. She sounds like an amazing woman. Prayers for you, your mom and your family. So sorry to hear about your mom’s passing. It’s never easy to lose your mom. My heart goes out to you. Sending prayers for you & your family. My condolences to you and your family Dan. I still remember your mother from when your sister Laurie and my sister Lori were in elementary school together. She was always very nice and kind all those years ago and she continued to be throughout her lifetime. I know that she will be missed. Thanks, Michael! Very sweet. Give a hello to Lori for me please. Clearly a life worth celebrating. I did not know your mom although our paths have crossed. My condolences to you and your family. Sorry about your loss Dan, our prayers are with you and your family. So very sorry for your loss. Your tribute to her says a lot about what a lovely woman and Mom she was. Heartfelt condolences, Dan, to you, your family, and those dear to her. Dan, so sorry to hear of your mom’s passing. She sounds like a wonderful woman, and Westport was fortunate to have her here for 60 years. Sending love and healing thoughts to you and your family. Holding you and your family in my thoughts. Dan, so sorry to hear about the loss of your mom Jo. She was a good friend of my mother-in-law Margaret Barnett and an awesome tennis player. I’ll always have fond memories of Jo. My hearfelt condolences to you and family. So sorry for your loss…. these tributes are testimony to a life well lived. Dan, Mary Ellen and I are truly saddened to hear about the loss of your Mom. I know that your many friends throughout Westport and beyond join us in wishing you our sincere condolences. Westport is a better place for Jo having been a part of it in so many ways. Such a lovely photograph of your Mom, Dan. So sorry for your loss. Dan, Susie, and Lory, What sad, sad news to hear of your mom’s passing yesterday. I feel so lucky to have shared some childhood stories with her and my mom fairly recently. She and your dad have been close to my family and my heart my entire life, I will forever remember their kindness, generosity and love of life. May your hearts soon be filled with wonderful memories of joyful times together as you celebrate a life well lived. Dear Dan, I am so very sorry for your loss. Your mother was a wonderful lady and part of the very fabric of Westport. She was much loved and will be long remembered. Sending a hug your way and our family’s condolences to you. Rest in peace. Very sorry for your loss. Another great loss for Westport. So sorry for your loss, Dan. I’m very sorry for your loss, Dan. Thoughts are with you. she raised a wonderful son! It is so clear that your family is surrounded by love in our community. My experience was similar in 1998 though we had only been here for seven years. I hope the warmth of so many will support you along with the memories of the lasting contributions you mother made to our town. I wish I had met her. I’m so sorry. Your mom sounds like a wonderful woman who lived a full and fulfilling life. Please accept our condolences. Our thoughts are with you. Dan, that’s a beautiful tribute to an amazing woman – and obviously a terrific mom as well, judging from the way she raised you. Our thoughts and prayers are with you. Your mom was always such a warm and generous person, as was your dad. Have great memories of our parents together. Thank you, Wynn. My condolences to you as well. woman. She will be missed by many people. Mr. Woog—I’m so sorry to hear about your loss. My thoughts are with you. Dan, Susan and Laurie, On behalf of my family I extend to you my heartfelt condolences on the passing of Jo. May the many years of joy and love you shared as a family be your source of strength and solace now. Your mother, Jo and her sister, my Aunt Roe, were two very gracious women that made our families so special. Dan we are sorry for your loss. We did not know her but it seems she was a very happy, successful Mother and Woman. We are sure she left this world a much better place. Warmest regards, The Gelini/Cook family. So sorry to hear of your loss Dan. My thoughts are with you. Thanks for sharing, Dan. I am so sad to hear this news. Your folks were super, warm people, and friends of my own parents. I will never forget your folks’ kindness in sending Wynn Plaut and me off to Europe on the QE2 40+ years ago with a surprise present of a portable chess set with stick-on pieces. I will miss your parents. Cheers to them and you! Dan, I’m sorry for your loss. Our thoughts are with you and your family. May her memory be a blessing to you forever. What a wonderful tribute! My condolences on your loss. Dan, sorry to hear this news. Your mom sounds like a terrific lady who lived a full & vibrant life. Surely you’ll find much peace and many smiles in reliving the memories she provided you. I’m so sorry for your loss, Dan. Your mother was a wonderful member of this community. What a great tribute to your mom, Dan. On behalf of the Library, please accept our condolences and best wishes. We’re thinking about you. So sorry for your loss, Danny. I am truly sorry for your loss. May you find comfort in the wonderful memories you have of her and the legacy she leaves. Sorry for your family’s loss Dan. I lost my Mom last month. Your Mom sounds likes she was a lovely Woman! Enjoy all your memories of her. Dan, i’m sorry for your loss. Peace be with you. Sorry to hear this Dan. My thoughts are with you. Mrs. Woog must be smiling knowing that her tributes will rightfully shatter the 06880 record for responses. Hi Dan, so sorry for your loss. Thank you for sharing your tribute. Your Mom sounds like a wonderful lady who really embodied that active, community-oriented, Westport spirit. My deepest sympathy Dan, to you and your sisters. As a HPR neighbor I used to see both of your parents frequently. She will be missed. I just learned of your loss through a mutual Facebook friend. As so many have said here, you words certainly give us a glimpse in to this special women. Sending you and your family condolences and best wishes. So sorry to hear this sad news. I remember your Mom from our PTA days at Burr Farms. She packed a whole lot of wonderfulness into that small frame! Westport has been so fortunate to have the Woog family in its life. My thoughts are with you and your family. I’m so sorry for your loss, Dan. What beautiful memories you shared. It sounds like your Mom was an amazing woman who lived a happy and fulfilled life. Dan, what a beautiful tribute to your mom!! A beautiful picture! Keep all your memories in your heart – she will always be with you. My thoughts and prayers are with you and your family I will be thinking of you on Thursday. She certainly was an asset to the community of Westport and she raised a terrific son!!!! Dear Dan, I was so sorry to hear this sad news. Your mom was a lovely, warm, and vibrant lady who will be missed by so many. Please know that my family and I are thinking of you. Sending condolences and hugs to you and your family. 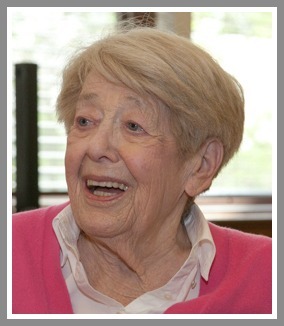 Clearly, she made vital contributions to the town, and more importantly to your family, for decades. You embody much of what was special about her. My condolences to you for the loss of this extraordinary person. Dan, Rhoda and I send you and your family our heartfelt condolences. It’s never easy to lose a parent. We remember both Jim and Jo fondly. They were pillars of our community. In my middle years i decided to take piano lessons and your mother was kind enough to grit her teeth and listen weekly to one of her worst students attack Kumbaya as if it were a Beethoven symphony. Our thoughts are with you. Dan, she was a wonderful woman and raised a wonderful son. All my sincerest feelings are with you at this sad time. So sorry Dan. Losing one’s Mother is especially tough. Hang in there. Dan, So sorry for your loss. Sending condolences to you and your family. So sorry for your loss Dan! Thoughts, prayers and condolences go out to you Dan. So sorry for your loss. That is a beautiful tribute to your mom. So sorry for your loss, Dan. Thinking of you! Our condolences Dan.She must have been a great mom to have raised such a strong family. Saddened to hear about your Mom, Dan.The memories are with you forever. Ken and I both send love and hugs and prayers to you, Dan. I remember meeting your mom when Allen Raymond led a tour of Compo Cove several years ago. The WHS tour was great, but the best part of the day was that “I met Dan Woog’s mother!” She was lovely and chatty (I should talk) and obviously adored you. That’s always what makes a “good mother” in my book. I too hope that all these lovely tributes will keep alive what made your mom so special. We’ll definitely send in a donation in memory of her! May God bless you both, and keep you in his care. So sorry for your loss. Sounds like she was a wonderful woman and she left a special legacy. I’m so sorry for your loss, Dan. Losing one’s mother is a very big passage. My mom died 24 years ago and I still feel her presence every day. I hope you’ll continue to feel your mother’s presence in your life. Love is eternal. But your words never seem to fail to capture what is important- a lovely tribute to your mom. To your family from our family- we add our heartfelt condolences along with the messages you have already received from your friends and devoted readers. Dan, what a wonderful, interesting tribute to your Mom! No wonder you do what you do. As a former Westporter I can certainly understand and feel the same way … certainly wish I were still there. I love being kept informed by you. All the best to the family. Dear Dan, I am so very sorry to hear about the lost of your beloved Mother. What a great tribute to her..God Bless you and your family. Sending my heartfelt sympathy to you Dan. What a beautiful tribute to your Mom! Sorry for you loss, Dan. I remember both of your parents coming into the store. Such energy! I always thought of your mom as family. Sending you love and comfort at this time, from family. Hi Danny, So sorry to hear the news about your mom. We are so sorry about your Mom’s passing. Your parents were absolutely wonderful people in countless ways. Not the least of which was raising wonderful children. Our deepest condolences on your loss. Thinking about you during this sad time. Dan, So sorry to hear about your mom. She sounds like she was a wonderful mother. A loss like this is always difficult. You’re in my thoughts. I didn’t want to hear this news. It was good tho that both you and your mother lived in the same town for all these years. Not many parents or children have that opportunity. Or that many good things to remember. Losing a Mom is huge. Thinking of you, be well and keep on keepin’ on, as your Mom did so well. Dan, So very sorry to hear about you Mom.We have you and family in our thoughts and prayers. My deepest sympathies!! Dear Dan, My heartfelt sympathy to you and your family on the loss of your mother. She was a lovely lady whose company I always enjoyed. She was very proud of you and I know you will miss her as we will also. May the loving memories of your beloved mom help in this time of sorrow. Very sorry to hear Dan. Condolences to you and your family from the entire James family. My heartfelt and sincere condolences to you and your family. We are so sorry for your loss, Dan. I am sorry that I never knew your Mom, but I am sure that I do know something of her, because she instilled it in you. You, this blog, the community you have built and nurtured here, are in their way a part of your Mom’s legacy. Her appreciation for Westport very clearly is alive in you and your work, and that is a wonderful thing. May you find joy in your memories. Dan, so sorry to hear about your mom. I will always have fond memories of her teaching me to play piano. My condolences to you and your family. So sorry to hear about your loss. My thoughts and prayers are with you and your family during this time. Dear Dan, Your mom helped make High Point Road a special community within a larger special community. A wonderful mom and a great neighbor. Blessings for her life and all she meant. — Doug Davidoff, ex-#20 High Point. Sorry for your loss Dan. Do sorry for your loss ! Growing up as your neighbor on High Point Road I have many fond memories of your mother and father ! God Bless them both and all the best to your sisters ! So thrilled your mother had such a long active life ! You may not remember this but I worked at your parents home years ago catering a party, Michael Luzzi was the man I bar tended for and Sarah Gross of Cabbages and Kings was my friend the caterer, I even worked for Joanne Hush of Seasonings Caterers in the day, whatever, I remember being in your home and being around your family. Later my sister Theresa Alward let me know that your sister was and still is her good friend so we have a connection besides my son Taylor who played soccer for you at Staples. I’m so sorry to hear this. She was definitely “one of the good ones” and I will always remember her with fondness. Condolences and love to you. I would imagine that writing this piece about your mother was both incredibly easy and heartbreakingly difficult. Your love for her came through loud and clear – and may that as well as all the great memories of her provide comfort to you at this time. Dan and I send our deepest sympathy to you. Rosita and Iare so sorry for your loss. A Mom is such an important part of your life. This very long list of condolences and rememberances are a testament to her and to you, Dan. I’m sad I did not know her but grateful she gave us you. Having been enjoying your column I now see where you have gotten your verve & community spirit . Our Condolences on your loss of a wonderful & active Mother. I’m so terribly sorry for your loss Dan. She sounds like quite a wonderful person who truly lived life. And she must have been pretty special to have raised such a remarkable son. You’re in our thoughts. Sorry to hear of your loss, Dan. 215 plus comments is testament, indeed, to the importance of both you and your mom in peoples’ hearts and minds. a life well lived. We are so sorry to learn of her passing. I am deeply sorry for the loss of your mother. Dan, I’m so very sorry for your loss. I very recently lost my own mother, who was 86 but still mentally vital and full of love. I miss her every day but I’ve found that the love remains. I hope this is how it is for you too, and know she is always with you. I join the community in giving you a big comforting hug. Thank you for sharing sweet memories of your mother. I’m sorry for your loss. Very sorry to hear. Your mother definitely had a unique way about her. We are all the richer because of her…..especially the children of 1950s and 60s Westport. You certainly continue to make Westport a better town…..she must have loved the 05880 column. Condolences to you, Dan. Dan, we are so sorry to learn of your Mom’s passing. You are now and always in our thoughts. do live on -as do all the kind thoughts here of your mom. So sorry to hear about the loss of your mom. She sounds like an incredible lady. Please know you are in our thoughts and prayers. Dan, sincere condolences on your loss, but what a wonderful article and what a wonderful life! It’s clear Jo did so much to make Westport what it is – a great place – and her story helps us all aspire to do the same. God bless Jo and all the Woogs. Rady & Diane. So sorry for your loss.. May your memories comfort you. You never really do lose your Mom since she is in your heart forever. Sorry for your loss. What a moving tribute to your mother. Very sorry for your great loss Dan. She will always be a part of you. A warm and loving tribute, Dan. You do your mom proud. My deepest and most sincere condolences for your loss Dan. Much love to you and yours. Beautiful life and beautifully remembered. So sorry for your loss Dan and sending our deepest condolences. My condolences to you and your family may she rest in peace. I’m truly sorry for your loss. I remember meeting your Mom and was struck by what a dynamic woman she was. You, your sisters as well as your nieces and nephews are an exemplary testament to her legacy. Dan, my sincerest condolences on the loss of your mom. Thank you for sharing your lovely tribute to her; she sounds like she was a remarkable woman with a great zest for life. Dan, So sorry for your loss. My thoughts and prayers are with you. Dan, So very sorry on the loss of your lovely mother, may all your wonderful memories of her give you some comfort at this difficult time. Dan, our deepest condolences on your loss. She sounds like a wonderful woman, mother, friend and neighbor and we were all lucky to have her influence our community. So sorry Dan – I always enjoyed her company so much. She was full of joy and so proud of all of you. Condolences Dan. I remember both of your parents well and admired them greatly. I hope you can find comfort in the fact that they were always proud of you. Dan and Family, my sincere sympathy on your loss. May you cherish all the memories of a life well lived. So very sorry for your loss. Beautiful tribute. I know she will be missed. Love and prayers to you and your family. Dan, Your mother sounds like she was such a wonderful, loving and supportive person who brought many things to the Westport community. The town was lucky to have your vibrant mom in town for sixty years and your involvement in Westport will carry on her legacy. My sympathies to you. And you are so right about the women of Westport! My sincerest condolences for your loss. I’m sure she was very, very proud of you and your work. She brought smiles to everyone she touched. How lucky we were to have her in our midst. My condolences, Dan. Dan, your mom was a customer of mine for decades. When she stopped teaching I would only see her when she went to get her hair done across the hall at Phillip Bruce. It was only a couple of months ago when I last saw her. We would talk for a few minutes about her piano teaching and day’s gone buy. I always enjoyed seeing her. Dan, Losing one’s Mom is sad and my wish for you is to remember all the wonderful times you had together and to be thankful that she was your Mother. Obviously she was a community minded woman and deeply respected for her contributions to Westport. Her best contribution to 06880 readers was her son who keeps us updated on Westport happenings . I’m sure she was very proud of your work. Dan, what a beautiful tribute. Vijay and I hold you our hearts and we offer you our support as you remember her. Dan – What a lovely tribute to a great dame! Wish I had known her. My thoughts are with you and your family as you grieve her passing. The words of Carolanne Curry and Michael Katz capture my thoughts. You are a special guy from a special family. Dan – Thank you for sharing your wonderful tribute to your mom. I hope writing about her brought you comfort. My condolences to you and your family. No matter how old we, or our parents are, it’s never easy losing them. Holding you in my thoughts. Dan I am so sorry for your loss. Losing your mom is definitely one of the toughest events in most people’s lives. May the memories of your mom bring you comfort during this very difficult time and for many years to come. These many postings show how many lives you have touched, and your mother through you. I’m sure she would be very proud. I hope the many happy memories she created for you will soon bring smiles instead of tears. I am very sorry for your loss. I am sure your mother was very proud of you.